I love a new tanning product and Im alway keen to try new textures and formulations! 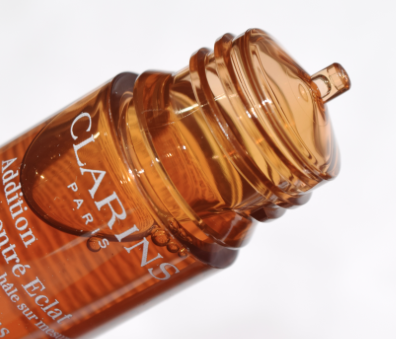 When I saw the Clarins Radiance-Plus Golden Glow Booster for Body I couldn’t wait to try it! …And when I say try it, I mean also swatch it pure so I can see how dark it really can go! So Clarins have to versions of this one for body one for face – from what I can gather ingredience wise they are exactly the same but the facial one is a little less potent….So I decided surely its best to get the body one for £26.00 (£86.67 per 100ML) than the facial one at £19.00 for 15ml ( £126.67 per 100ML) and just use it on my face too just using less drops! The directions is to add in 4-6 drops to body lotion for a made to measure tan….i.e use more for a stronger result! The directions on the face one is 1-3 drops in facial moisturiser so 1 or 2 of the body one will do. 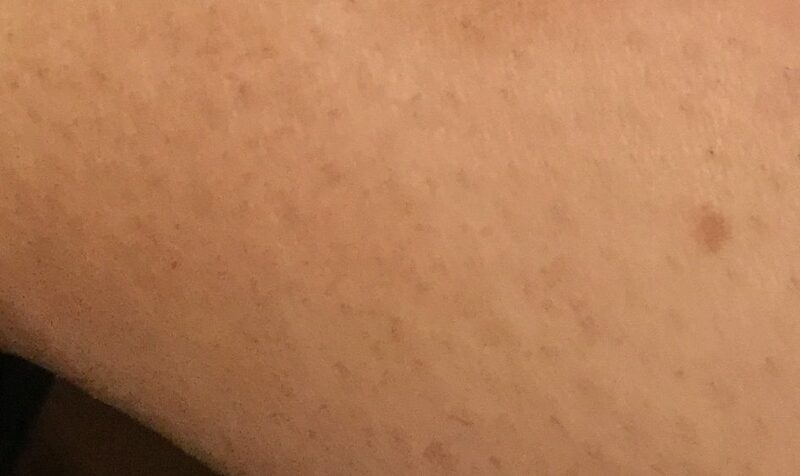 Below you can see a patch of skin where the left part has been applied with Clarins Radiance-Plus Golden Glow Booster for body in the ratio recommended, compared with normal skin on the right – As you can see its added some depth of colour but more like a gradual tan effect. 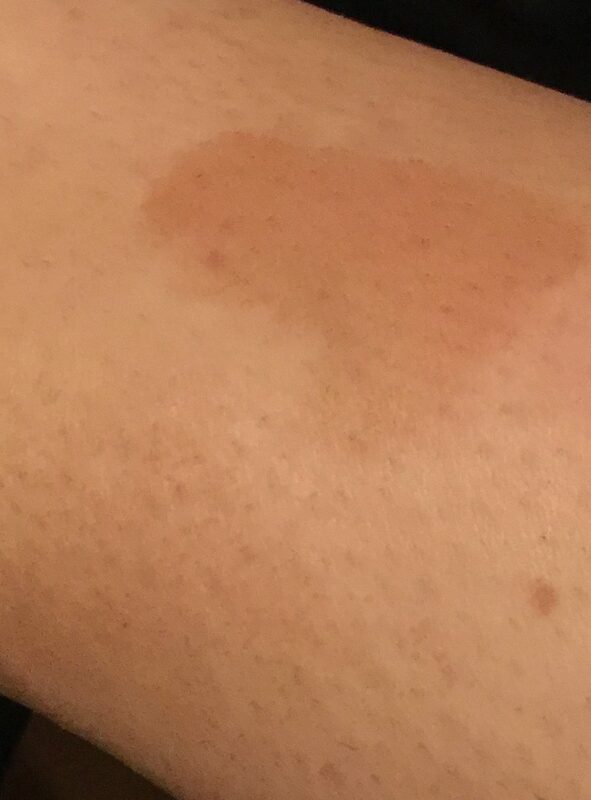 Below you can see a swatch of the Clarins Radiance-Plus Golden Glow Booster for body when applied pure onto the skin. This creates a really nice deep colour and to be honest this picture doesn’t do justice for how dark it really was! I prefer a deeper colour when tanning so It was clear to me that 30ml body booster wouldn’t last me very long for how dark I like my tan! You can see here the difference between the two, mixed and pure is quite a lot! When I used it properly – The good news is it didn’t go in pores or dry areas to much and my skin didn’t feel dry which it sometimes can, especially as I have really dry skin! The colour also was great it was golden but not orange! In conclusion I think the formula of this product is great and its such a good idea as you can tailor it to your skin! 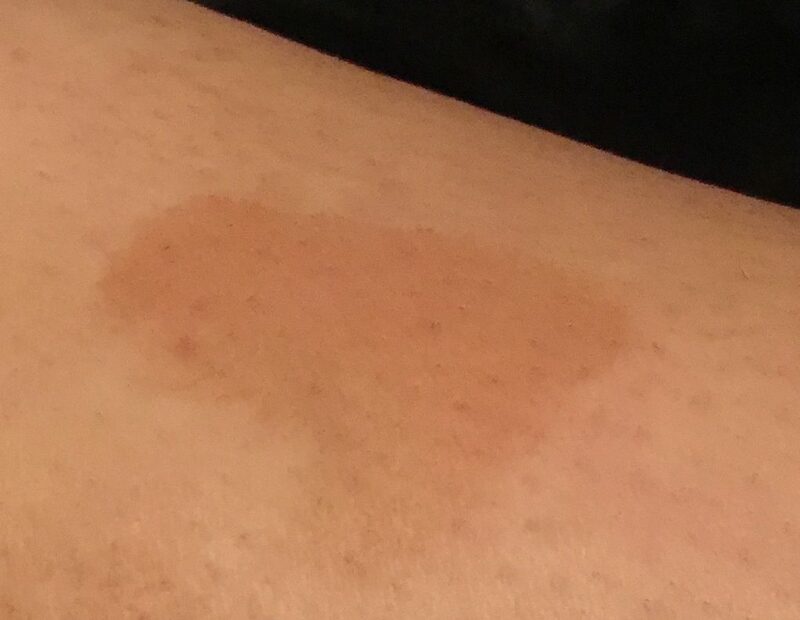 What I would say is its more for gradual tan fans or people with lighter skin, Clarins ideally would have one for darker skin tones who would benefit from a stronger formulation when mixed as directed! Previous Article← Do Instagram products REALLY work? !